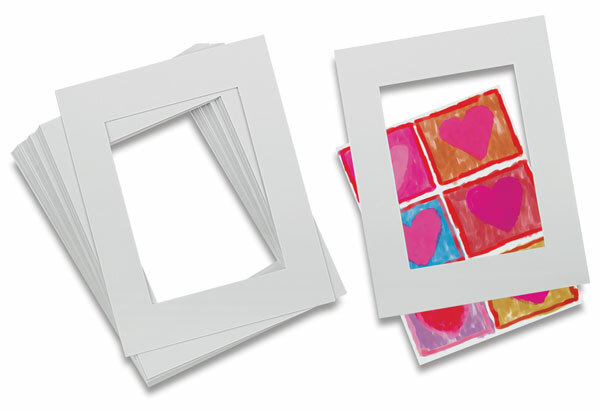 Value Pre-Cut Mats are perfect for school art shows and temporary matting. Quality white pebble board. Inside beveled edge is die-cut and scored to bend the border inward. Can color it with a marker or paint for a double mat effect. (No backing sheets).